The Return from Pennsic: The SCA versus the Navy. I don’t always post about my really real for real life here on this blog, because this is a place for the research I wish to share with like-minded folks. However, this being relevant to my SCA life, I thought I could share a bit about generally crazy our lives can get. First and foremost, a disclaimer: I haven’t been a military wife for that long, and I met Geoffrey when he was still on shore duty. As far as things are going so far, I’m downright spoiled. This is all going to change in about a year, but I don’t have much to say about it yet, other than that there is a potentially big move involved. We did move from Rhode Island to New Hampshire this year, or rather, he moved last fall and I joined him in the winter once I finished my degree, so I already got displaced from my home of 11 years into a totally new, and entirely less urban-convenient area. Us at Palio di Stonemarche. Being all matchy Italian rennie and stuff. 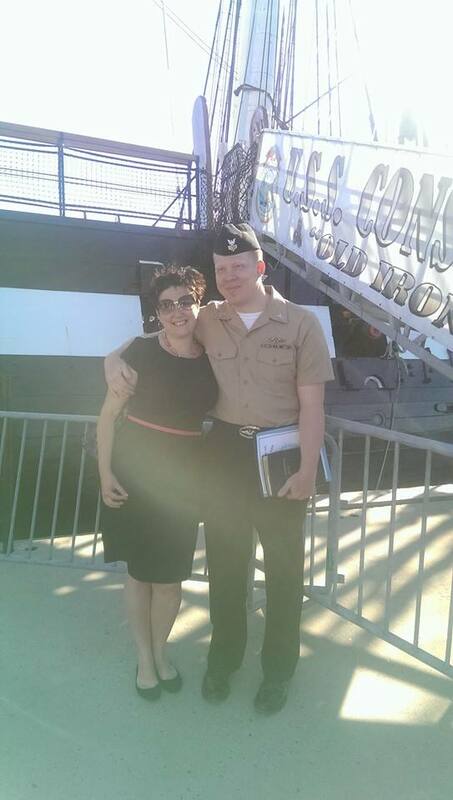 Us at the USS Constitution for a sailor’s re-enlistment ceremony and probably the worst hair day of my life. Geoffrey is an active-duty submariner. That means for the most part [but not always], his home base is going to be in New London, CT. This makes us already percentages more stable than the majority of military families. Subs can be moved, though, such as up to a shipyard for repairs, which is what put us in Portsmouth, NH for the time being. This worked out well, since I was accepted into the University of New Hampshire for my MA, which is just 20 minutes away, and thanks to the Navy, I was given in-state tuition. Then comes the questions: How involved do we get when we know we’re only here for 2 years? How attached do we stay with the baronies to our south? How is our mundane workload now going to effect our eventing? Oh, that last one is a doozy. With Geoffrey being on a submarine now and not on shore, despite the fact that it’s up on blocks and full of holes, means that he has to work more on base, and leave is harder to get. We had a hell of a spring into summer. Especially with the odds of a deployment around every corner. Pins and needles. 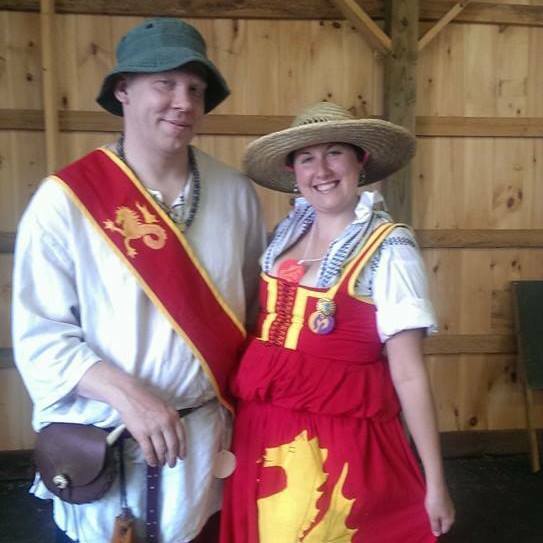 He started taking every weekend off for events, figuring that Pennsic wasn’t an option, but once that changed, again, he put in for the 2 weeks of war, and we were good to go. This is when the really fun stuff happens. We knew he was up for Chief. Things were working in his favor for promotion, and we had a feeling that this could be it. And well, it was. We found out that he made E-7 while sipping iced coffees at Cafe Merhaba, while I waited to work the State Dinner. I watched him hold back emotions so much that tears welled in his eyes…and of course, you know, I footed the bill at the Cafe. What I didn’t know, however, was that in the Navy, making chief is more than just a big deal, it comes with 6 weeks of very high stress training, called induction or indoctrination or simply “Chief Season”. Some call it hazing, and some say that it’s not what it used to be, all I know is that both of our phones started blowing up. They wanted him back as soon as possible. He told them that this wasn’t happening. There was no way, even if we left early, we’d still need a day to drive and a day to unload, putting us into the weekend anyway. I watched as Geoffrey’s relaxed vacation turned into moments of anxious stress, and I kept saying that if he wanted to leave early, we could. At this point I was done teaching my classes. I couldn’t fight because I sprained my ankle 2 weeks prior (that’s a whole other story) and I was generally having a “meh” war. But he insisted we stay to help break camp, and even stay with the freehold I’m apart of in the hotel on the way home. And honestly, I’m glad we did, because he hit the pillow and passed the hell out. There’s no way he would have made a 10 hour drive home. No. It is now one full week since we have been home. The trailer and car are now empty, and the majority of the contents that need to go back into homes here in the house are now sitting in my living room waiting to be washed or hung back up, and are emanating a smell that is akin to campfire and Old Spice deodorant-infused man-sweat. Where’s Geoffrey? Geoffrey is in Boston, playing on the Constitution (!!!) for a week. I’m probably the only Navy Wife that is more geeky about this than all the guys are, especially since on Friday they get to take her out onto the water, and I can’t go, sit on the pier, and cry in jealousy. I got $40 for laundry, Oxyclean, and a kiss, and he’s gone. Of course before that, I had to press his dress whites, sew on patches to 2 new sets of NWUs, even breaking a needle and having it fly up my nose. No, I’m not making that up. The pointy end of the needle FLEW INTO MY NOSE. If it wasn’t for my nose ring, it probably would have hurt a lot more than it did. The words I uttered are already circulating the world and causing pearl clutching as far as Siberia. I assure you. I never did fine the pointy end. I keep blowing my nose wondering if it’s stuck. For those that don’t know, it costs servicemembers A LOT OF MONEY to maintain uniforms. I probably just saved us $50 in patch-sewing alone. That’s clearly $50 I can use on fabric. Clearly. ..And now he has to buy all new uniforms, and I get to re-patch all his other sets of NWUs. So, he’s gone all week. That gives me a chance to FINALLY un-Pennsic the house, a week later. Catch up on the rest of my sewing work…a week later, and generally attempt to finally decompress and make sure he can come home on Friday and relax. Then I have one week left before I start a whole new degree at a whole new university, and he’s not through with this until the 15th of September. I Love you, muffin. ❤ It certainly will be an interesting 2 more years of sea duty. 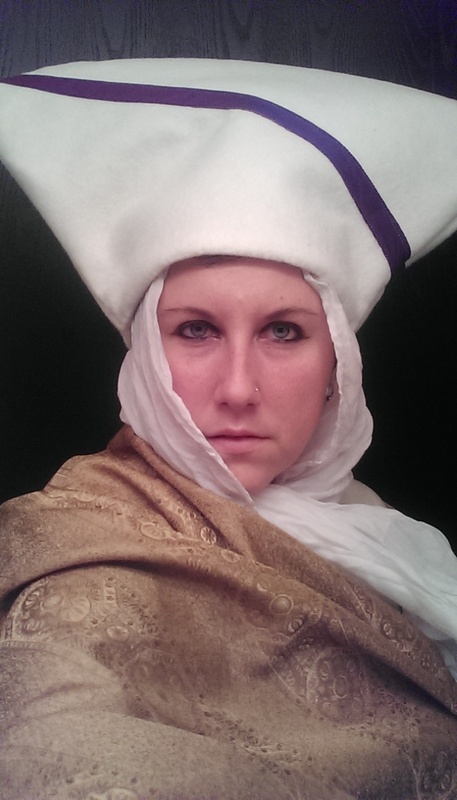 One of the more difficult aspects of studying Eastern Roman dress for the SCA is locating suitable headwear outside of the typical veil and circlet that seems common place, and easily mimicked from iconographic depictions of female saints, and especially the Virgin Mary. I have just started to scratch the surface of ceremonial Roman dress, but so far I have been able to uncover some rather unique pieces that may begin to open the door into more complex appearances for Eastern Roman personae to try. 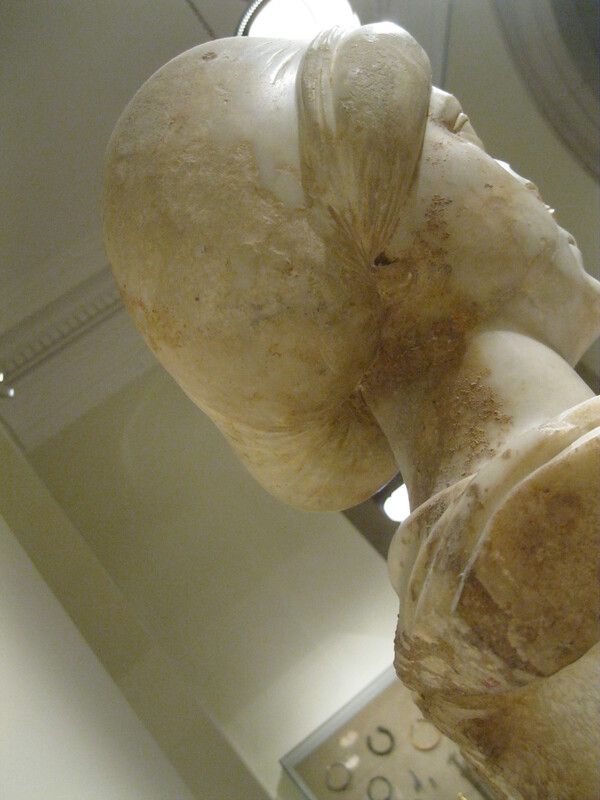 The zoste patrikia was a title held by the chief attendant or lady in waiting to the Eastern Roman Empress. It literally translates to “girded-lady patrician” but is often translated into English as “Mistress of the Robes.” It appears to have been given only to extremely high ranking ladies in direct service to the empress. She was not only the head retainer for the empress, but also the head of the court of ladies, the wives of other high ranking patrician men in the court of Byzantium. This article will focus on the design of and wearing of the propoloma. This particular style of the hat is described as being in use as early as the 10th Century, but appeared to have had its heyday during the 11th and 12th Centuries, which allows it to fit perfectly into my persona. It appears to have taken the shape of a trapezoid, or upside down cone sewn shut on all but one side for the head. It may have been covered in silk, and then decorated in a variety of ways. 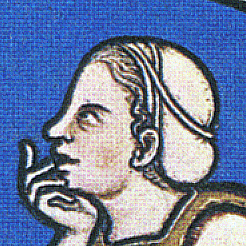 Anna Radene wearing the propoloma during her occupation of zoste patrikia in 1070, image courtesy of 1186-583.org. Possibly Irene Gabras, wife of St. Theodore Gabras. Who did not serve as zoste patrikia. Image courtesy of 1186-583.org. Dawson seems to have done most of the legwork on this hat, as there is not an English translation of De Ceremoniis available to do primary source research from Constantine’s perspective. He discusses that although the hats were usually white, it appears that in one manuscript, purple ones were seen. This may indicate that these women may have been members of the extended royal family. He also brings into account on his Levantia website that the padded headroll seen in earlier artwork, including the Ravenna mosaics, may have been the predecessor to the trapezoid propoloma. 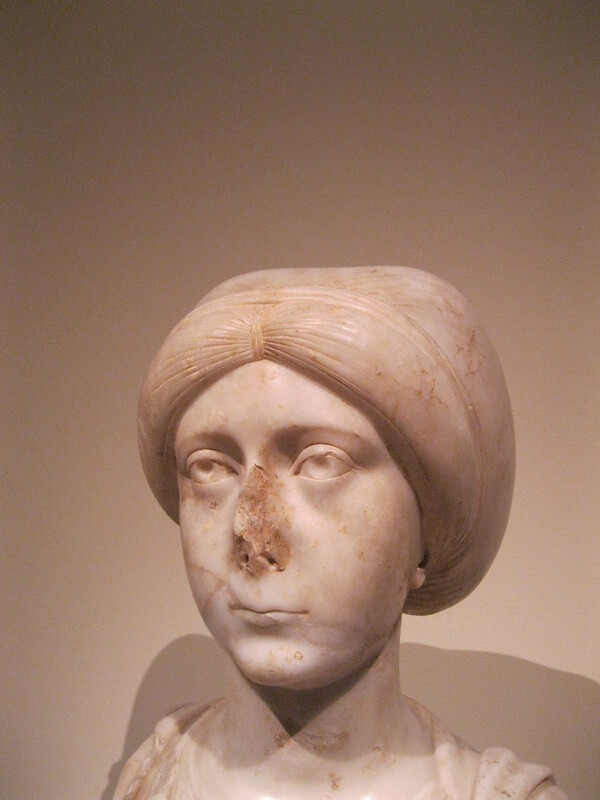 So for those who have an earlier period persona, we simply need to take a look at the bust of Anicia Juliana to get a glimpse at the earlier hat style. Naturally, there is no reason why this cap could not be older in origin, and this marble bust may just show a similar cap being in use as early as the 5th century. At least for the over cap, the under cap is a bit more perplexing, especially with the pucker going on at the top of the head. It is highly unlikely that is a hair part, considering the detail given to the rest of the statue, in addition to the same look of the layered “turbans” on the mosaic, so my belief is that it was two separate pieces, but how they created that gather on the top is still a mystery to me. It is something I do plan on exploring later to help those with early period personae. But how does a re-creator or reenactor transfer the wearing of this type of hat into their hobby? Well for one, this is a hat of station and rank. 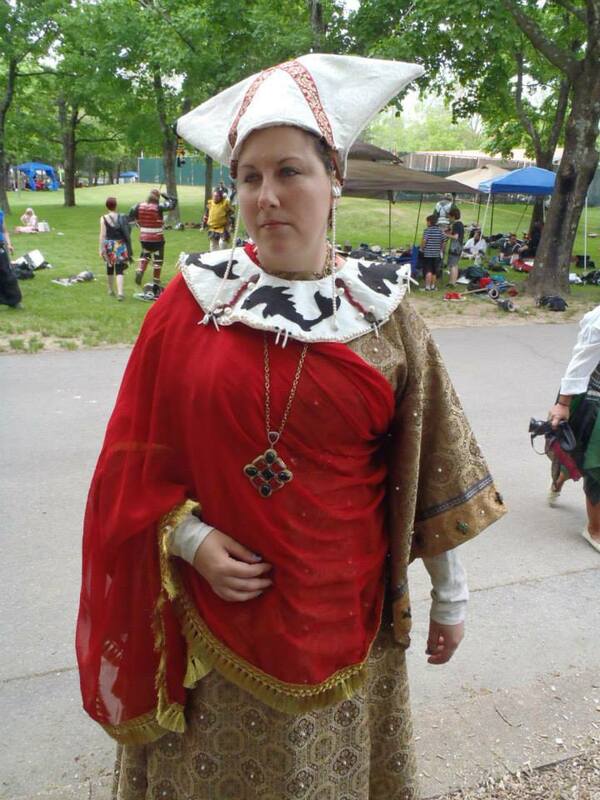 In the SCA, some kingdoms have sumptuary laws, the East Kingdom, where I reside, does not. However, I like to take into account the “what would my persona do?” clause when it comes to my clothing choices. My persona is well-developed, but not everybody else’s is, nor should they have to be. It is absolutely a personal choice on how much thought you want to put into your persona, and what you want them to wear. 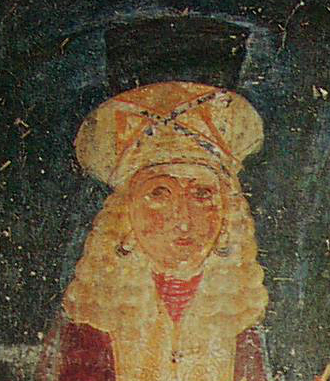 In the case of portraying a persona from a culture that has strong sumptuary laws, such as the Eastern Roman Empire, and especially if you reside in a kingdom that has laws about what one can wear on their head regarding their own rank, this is when the re-creator needs to take into account what he or she wants to wear, or should be wearing, for the holder of their awards. In the case of the propoloma, I would recommend that nobody holding anything less than an Award of Arms wear this hat. A woman who would have received this hat would have already been of high patrician rank, and even though the title of lady may or may not convey this, it would be unfair to say that only peers or grant holders/court baronesses would be permitted to wear it as well as far as the game we play goes. 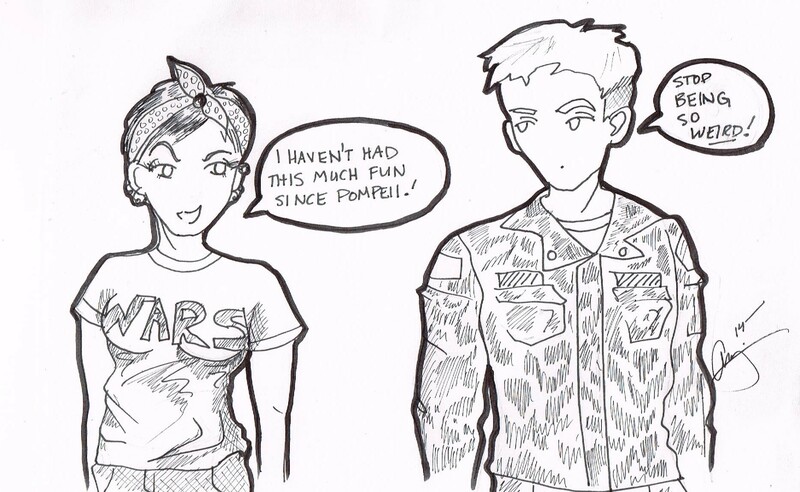 I made my first one from looking at the Tom Tierney coloring books, which have proven to be rather inaccurate the more that my studies continue before understanding that it was a hat of rank. However, I feel that it would make an excellent choice for something akin to a cap of maintenance for a Pelican, or wreath for a Laurel, as the SCA simply does not hold a candle to the intense pomp of Eastern Roman ceremony. But by bringing pieces of these ceremonies into the SCA, bit by bit, we can help enrich our game even more, and introduce others to a new and exciting part of Roman culture they may have never otherwise known about. My horrid first attempt at a propoloma 30lbs ago. Constantine Porphyrogénnētos, De Cerimoniis aulae Byzantinae libri duo. London: Oxford. 1830. Kazhdan, Alexander. The Oxford Dictionary of Byzantium. New York: Oxford 1991. Garland, Lynda. 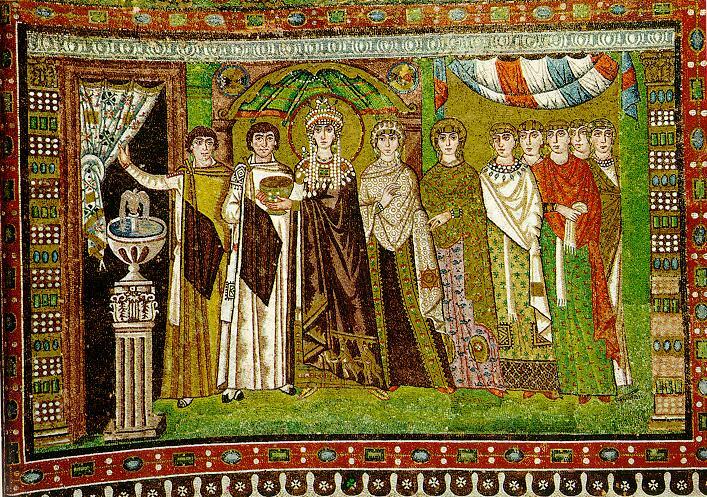 Byzantine Empresses: Women and Power in Byzantium, AD 527-1204. Abington: Routledge 1999. Spatharakis, Ioannis. 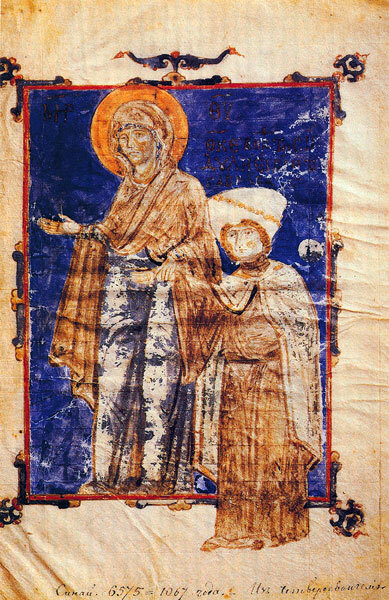 “The Portrait in Byzantine Illuminated Manuscripts,” Byzantina Neerlandica 6 (1976): 145. Dawson, Timothy. “Women’s Dress in Byzantium” In Byzantine Women: Varieties of Experience 800-1200, edited by, Lynda Garland, 47. London: Ashgate, 2006. Dawson, Timothy. A Woman of the High Aristocracy,” accessed August 13, 2014. http://www.levantia.com.au/clothing/zoste.html. Alexander Kazhdan, The Oxford Dictionary of Byzantium, (New York: Oxford 1991), 2231. Lynda Garland, Byzantine Empresses: Women and Power in Byzantium, AD 527-1204, (Abington: Routledge 1999), 5, 245, 264. Ioannis Spatharakis, “The Portrait in Byzantine Illuminated Manuscripts”, Byzantina Neerlandica 6, (1976): 145. Timothy Dawson, “Women’s Dress in Byzantium” in Byzantine Women: Varieties of Experience 800-1200. Ed. Lynda Garland (London: Ashgate, 2006), 47. Dawson cites De Cerimoniis by Constantine Porphyrogénnētos, the 1837 Latin edition, which I am currently translating into English. “A Woman of the High Aristocracy,” Timothy Dawson, accessed August 13, 2014, http://www.levantia.com.au/clothing/zoste.html. Also gives his interpretation of what a complete outfit may have looked like.